Our lemonade stand was born in the spirit of Aloha. Several years ago, I (Todd) was serving in a high corporate position in the world of action sports apparel, when my wife gave birth to our first son, Haven. With his birth I began to dream of leaving the corporate race for a simpler life to spend more time with family and friends. Our value on community and family deepened when we lost Haven when he was only 3 years old. I left the corporate world with a focus on family and community realizing how fragile and brief life is. My wife and I started a small handcrafted lemonade and street waffle business in the farmer’s markets of California, while we pursued a life centered on community. During this time, we came back to Hawaii to visit friends, and were deeply touched by the generosity and love of the community. We had a passion to help other families pursue their dreams, and inspire other entrepreneurs to create businesses that were healthy, sustainable, and could provide for their families, while providing much valued time with their families. We decided to expand our business in a way that would provide a foundation for this to be developed for future friends and families. Surrounded by a loving community, and inspired by the island’s culture and beauty, we decided to make Maui our home. We chose to partner with our good friend Joseph in San Diego, and our good friend Kawika in Oahu, to further expand our business and provide an opportunity for other families to succeed too . Our goal was to create a quality business that gives back to the community, sources from local growers in the community, and has a high value on providing healthy and refreshing drinks to the people we love to serve. In the Summer of 2012 Wow Wow Lemonade expanded into the farmer's markets of Hawaii and San Diego. Wow Wow Lemonades are handcrafted by our team of local artisans, using only the freshest locally grown ingredients. Our goal is to serve every part of the community that we love. We serve our growers by using locally sourced fruits to produce our handcrafted lemonades. We serve our customers by providing refreshing drinks that are a source of pride as a locally created and owned business. We serve our community by providing jobs to young people and investing in their future success. 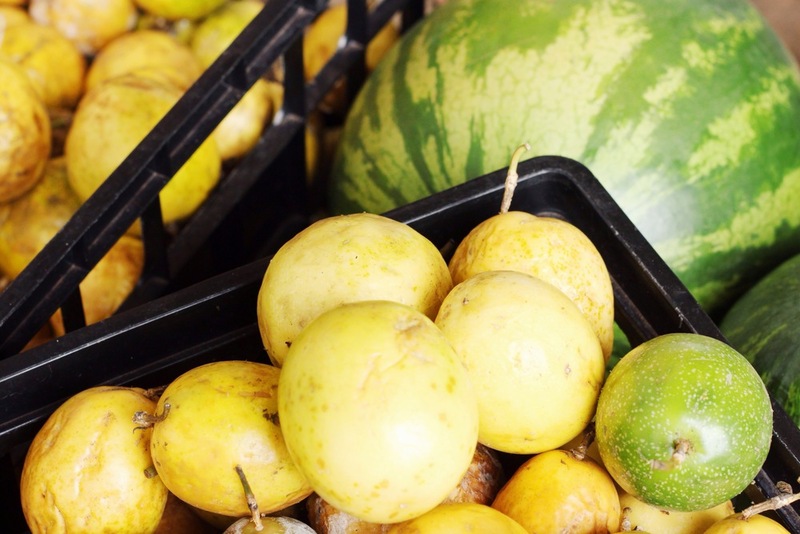 Though we have now expanded beyond our first lemonade stand in Maui, we continue to serve our lemonades in the local farmer's markets because of our love for the local community. Our heart is for the kokua of the community and the sustainability of the local growers and land. We founded our business on community relationships and our extended Ohana. We are committed to providing an Aloha experience to everyone we meet. From the farms to our friends, we hope you enjoy our tropical lemonades and experience the Aloha of Hawaii with every drink.